If you’re in the market for a new home, it’s important to know that the housing market is a seller’s market right now. That means there are a lot of people looking to buy homes and not enough homes for sale. Sellers are receiving multiple bids on their homes and have their pick of which offer they accept. In most cases, sellers are more apt to accept an offer with a conventional loan than an FHA loan. Why? Because FHA loans have stricter guidelines both the buyer and seller have to adhere to. 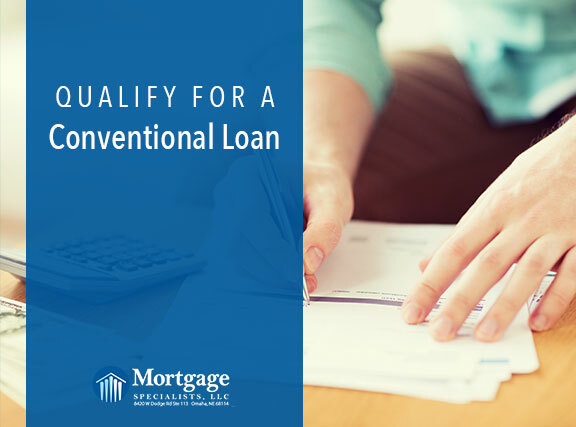 That’s why it’s more important than ever to qualify for a conventional loan. Don’t worry, if you aren’t quite ready to qualify for one, keep reading. Below are a few ways to improve your credit in the months leading up to applying for a conventional loan. Avoid applying for credit 6 months before applying for a mortgage. Credit applications can temporarily ding your score. Don’t cancel any unused credit cards unless they have an annual fee. Part of your score is a ratio of how much credit you have available to you and how much you’re using. Canceling a card will reduce the amount of credit available to you and raise that ratio. Try to never max out any one line of credit. If possible, try to use no more than 30% of the credit limit. Meaning, if you have a credit card with a limit of $3,000, never have a balance of more than $900. Your debt-to-income ratio is exactly what it sounds like. It is the percentage of your monthly income needed to cover your monthly payments, such as debt and housing expenses, compared to your overall income. It is one of the ways that lenders assess your creditworthiness. Ideally, your debt-to-income ratio shouldn’t exceed 36%. That means if your monthly income is $2,000, you shouldn’t be paying more that $720 in bills. In order to lower your debt-to-income ratio, you either need to increase your income or decrease your debt. While increasing your income by working overtime or getting a part-time job may sound appealing, it often isn’t a sustainable solution. We’ve found that the best way to lower your ratio is by paying down your debt. If you increase your monthly payments on certain items, you will quickly make a dent in the overall amount of debt. Eventually, doing this will help to lower your debt-to-income ratio. If you’re looking to qualify for a conventional loan, our best advice is to begin talking with a lender one to two years before you would like to buy. Ready to set up a time to meet with us and discuss your options? Give us a call at 402-991-5153.